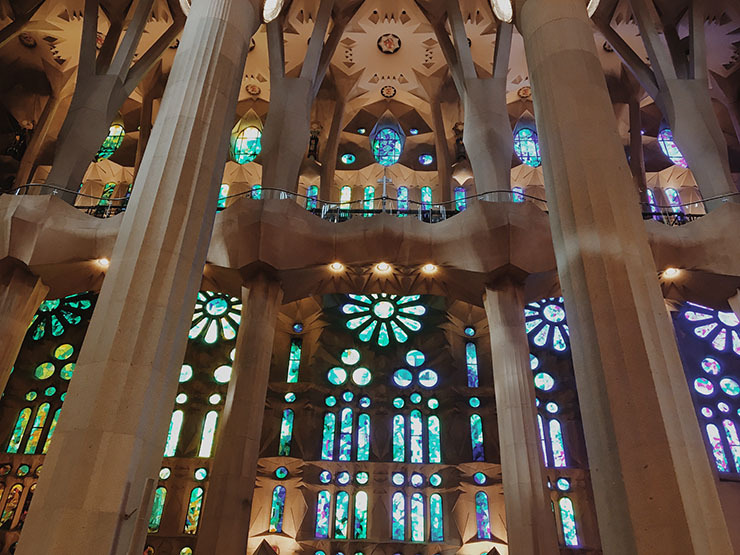 I have not been inside Sagrada Familia in over ten years. The first time I went inside I had two very small babies with me. To be honest, all I remember was there being a lot of scaffolding inside, and me trying to navigate my stroller through the narrow walkways trying not to bump into anyone. 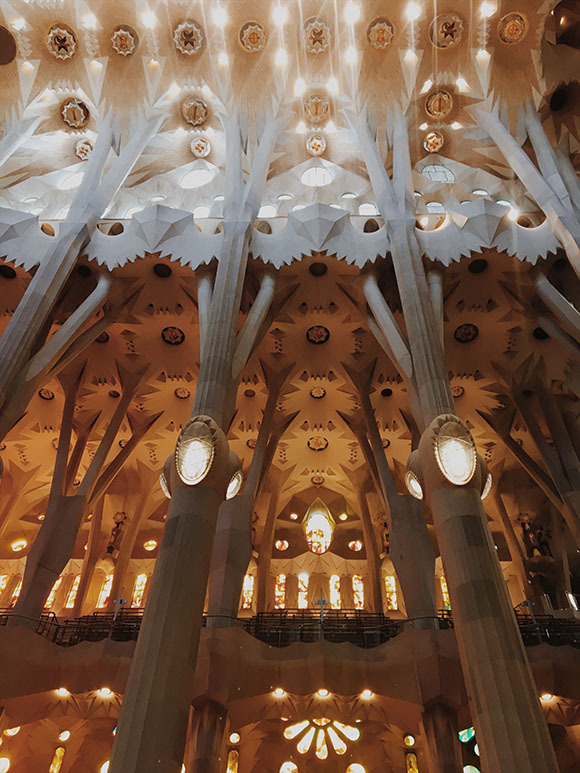 The Sagrada Familia is the very famous basilica in Barcelona that has been under construction for 130+ years. 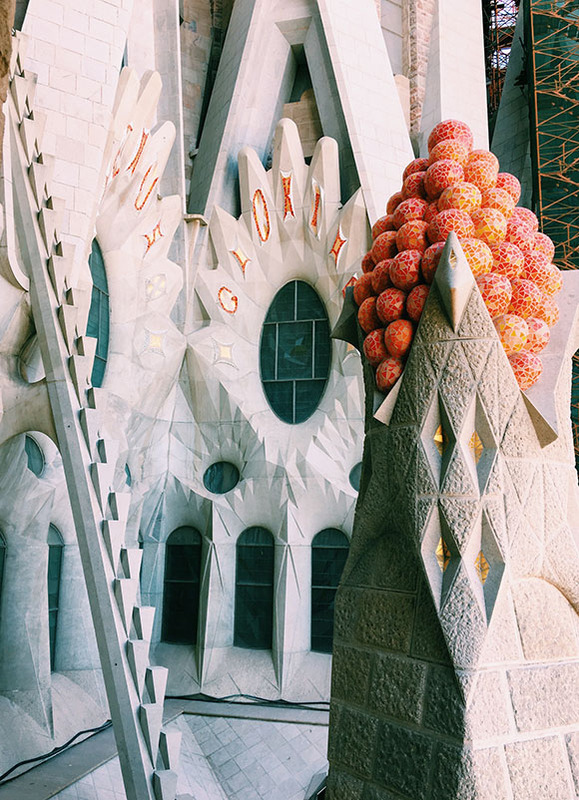 It is the masterpiece of Spanish architect Antoni Gaudi. 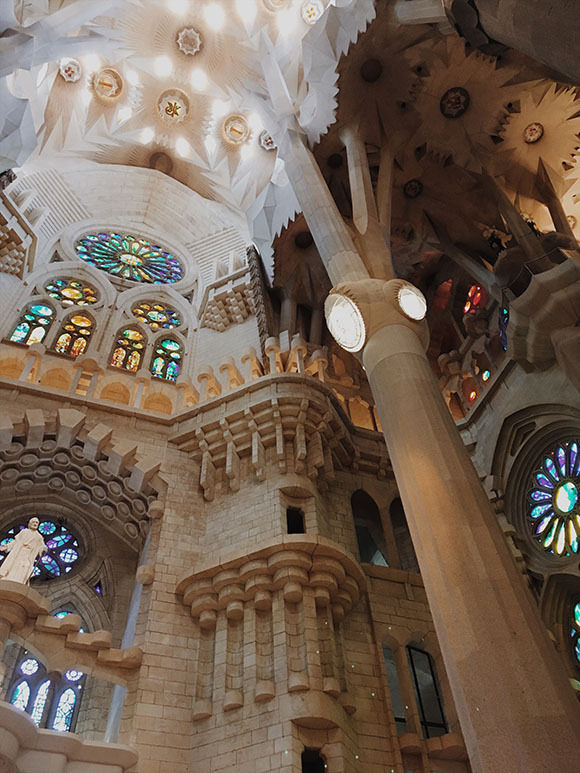 If you are coming to Barcelona it’s truly a must see. 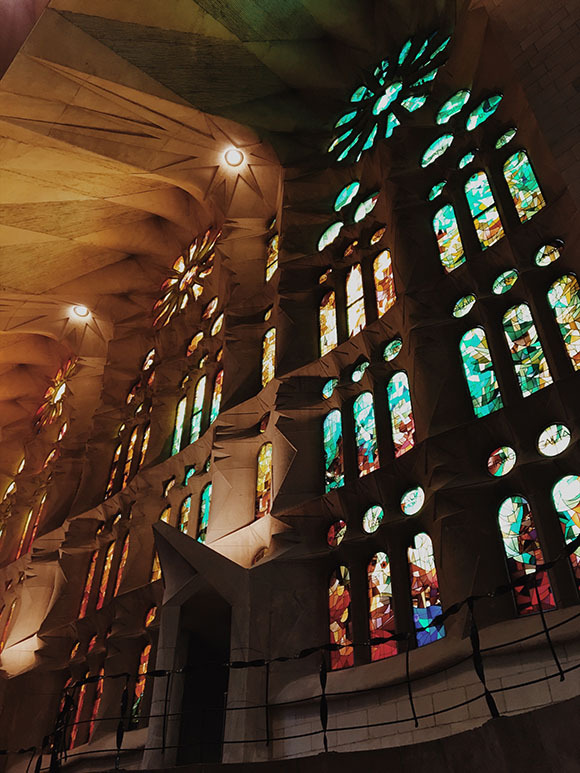 Since moving to Barcelona I have passed the Sagrada Familia on many occasions, but I have been anxiously waiting to get back inside. I have been waiting for some friends to visit, knowing that it was sure to be on their list of things to see. Last week, I finally had the opportunity. I bought our tickets online for a 6:30pm entry and for a small fee, added going up in one of the towers. I am not sure of the difference in the towers, but I booked the Tower of Passion. Some of our friends did this with their kids and liked it, so I wanted to see what the tower was all about. Our entry including the tower cost 29 Euros total. 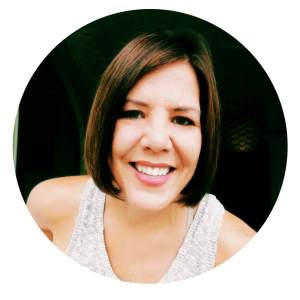 You can purchase online through a variety of vendors. In the summer months, you should do this well in advance. 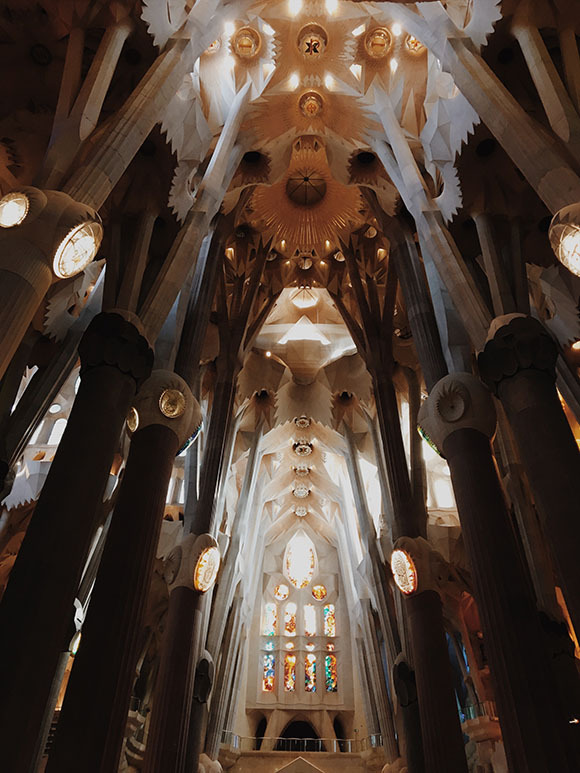 Upon entering the Sagrada Familia, I headed straight for the doors. A friend had shown me their intricate details, so I wanted to get a closer look. 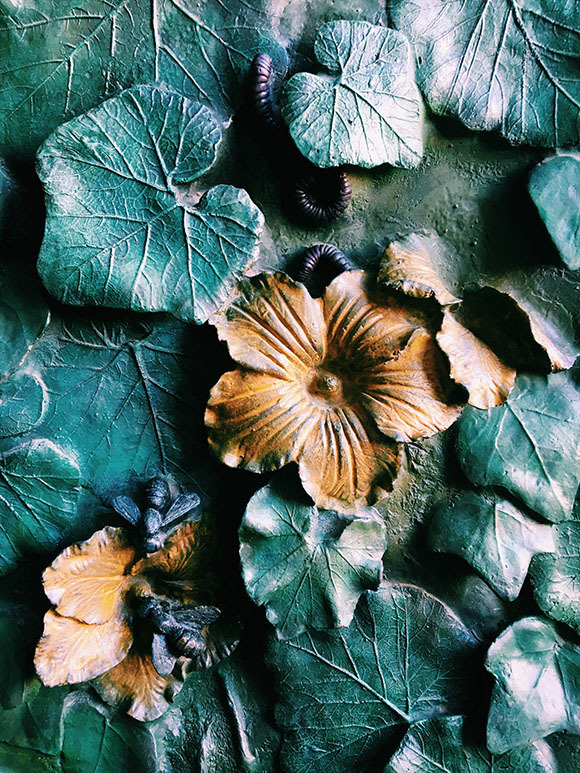 The main large doors are decorated with leaves, and as you got closer you could really see just how detailed the leaves are. Not only were there leaves, but flowers and even little bugs or bees, and what looked liked worms or centipedes. This amount of detail starts to give you an understanding as to why this architectural gem is still very much under construction. 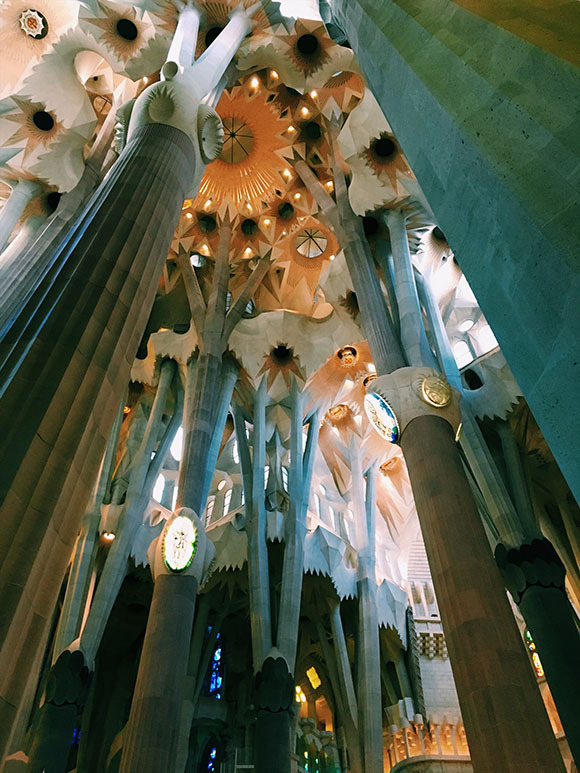 The moment I was inside Sagrada Familia my mouth fell open and my eyes were probably the size of golf balls. 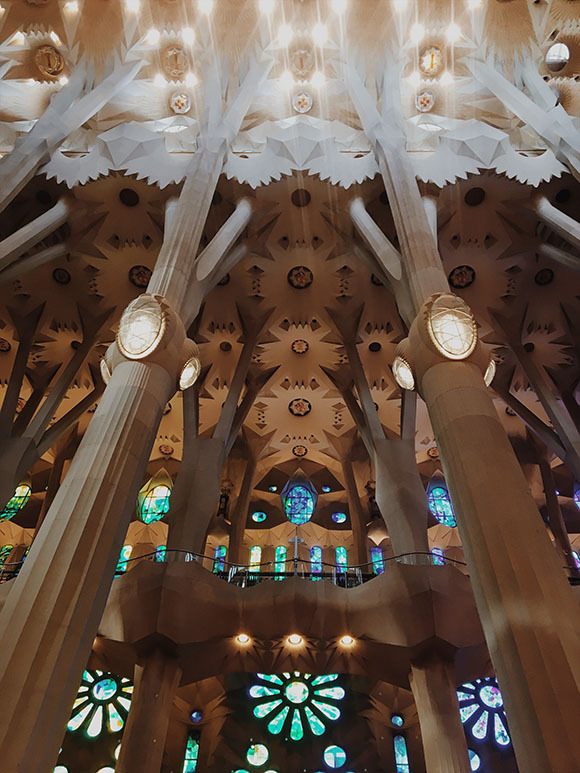 The entire inside of Sagrada Familia is completely open, incredibly bright and stunning! I did not remember the inside being like this ten years ago, at all. The interior looked so polished and fresh. It was breathtaking, all of it. Visiting the Tower of Passion was not as exciting as I thought it might be. I thought we were able to step out onto a balcony of the tower and have a great view. But really, it was very small enclosed bridge in between towers, and the views were quite limited. However, making your way down the spiral staircase was impressive. You take an elevator up but your only way down is through the small staircase. Windows within the staircase allow for views as you descend, so we did get to see up close the higher sections of the outside. The view of the pillars, set with bunches of fruit at the top of them was well worth the visit. 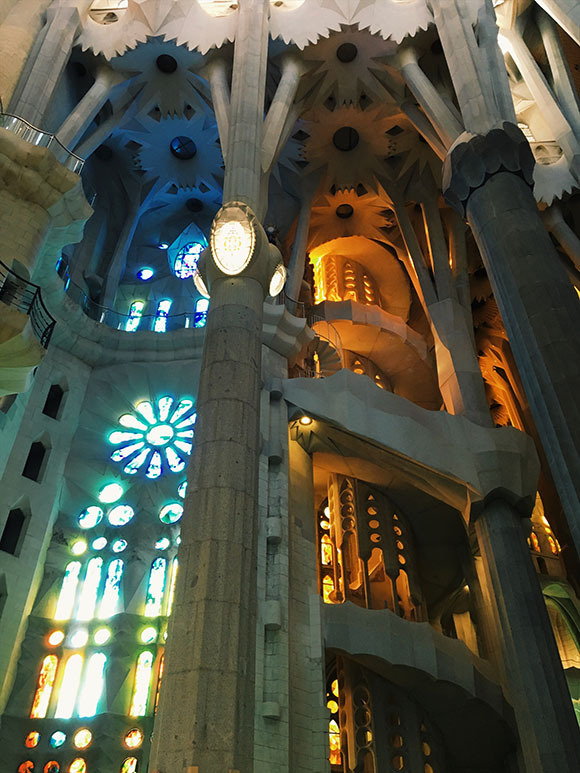 Some might wonder if going inside Sagrada Familia is worth it. Not everyone is into visiting churches, after all. However, this is unlike any church you will ever see (I promise!) and no, it is not overrated. I am not a huge fan of going inside churches either. I’d just rather be outside exploring a park, garden or the city streets. 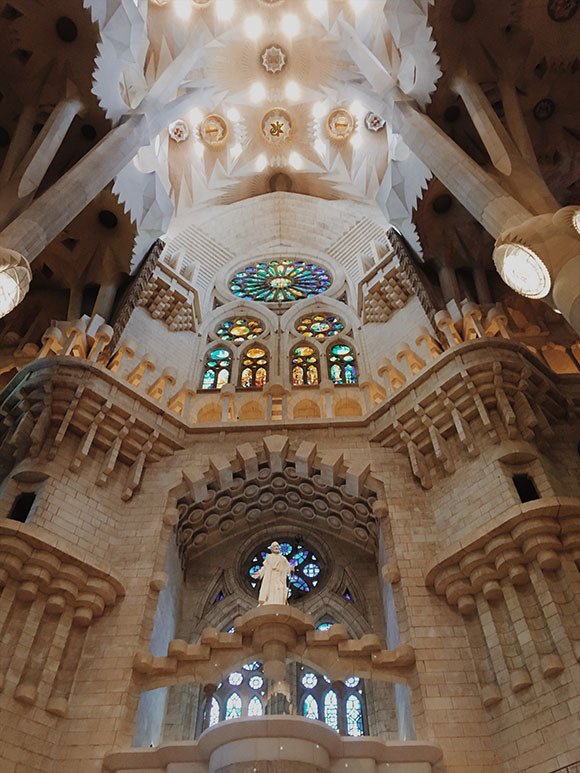 I appreciate churches and cathedrals for their architecture, design, and workmanship. Many of them are really something to marvel at. 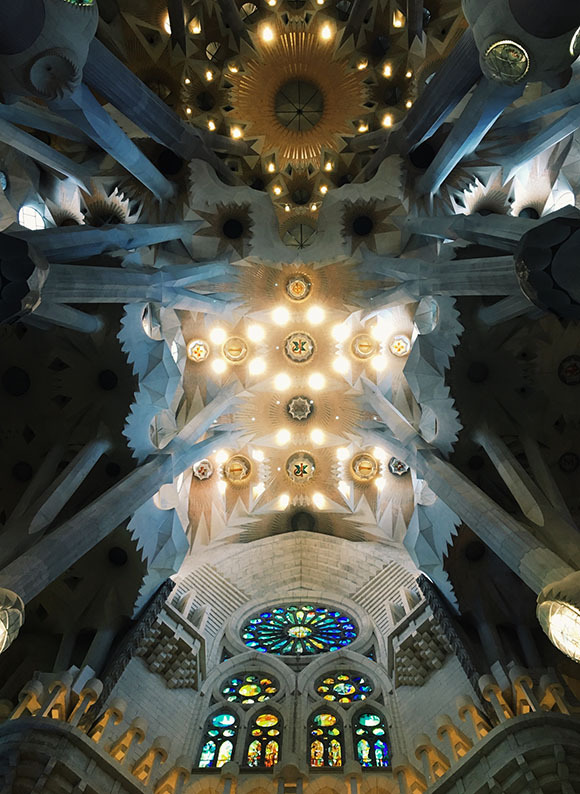 To me, the Sagrada Familia is less about it being a church and more about the design eye candy. 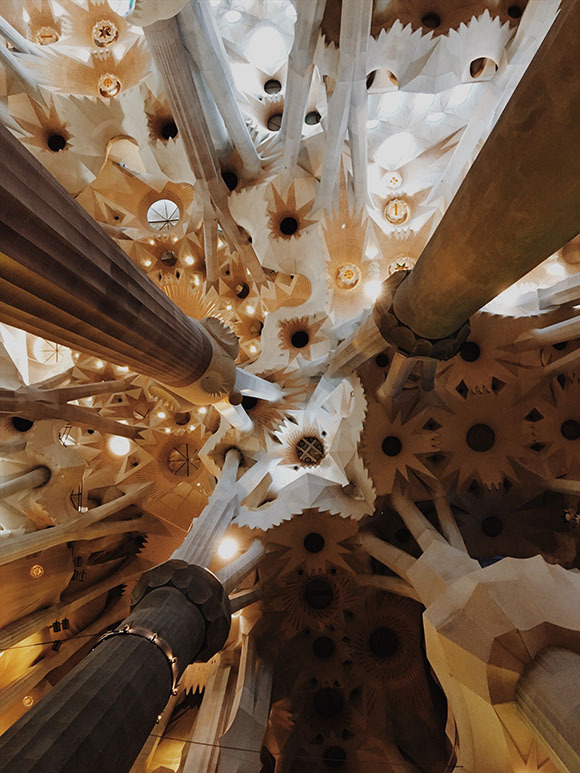 While looking up at the pillars, stained glass, and all that is going on, it reminded me of looking inside one of those kaleidoscopes as a kid. As you walk around looking up at this masterpiece it’s just like twisting the kaleidoscope. 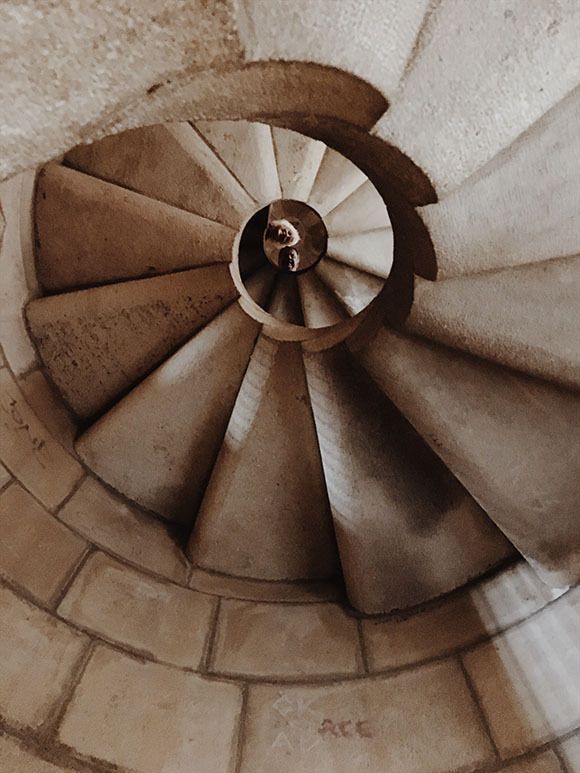 You will see different shapes, colors, textures and details with every twist. I hate to spoil it for you, but take a look for yourself.